Come and work from here! Workósfera is a creative space where you get things done, host your meetings and events or just connect with likeminded people in an atmosphere that inspires to create. Besides, and because we know work is not everything, here you can eat, have fun and sleep. Workósfera is a work ecosystem for entrepreneurs, business, freelancers and students. For everyone! Are you a member of Workósfera? "Mon expérience d'un mois à Workósfera à Puebla"
Depuis des années, j'adore ce concept d'espaces partagés. C'était avec beaucoup de plaisir et de joie de trouver Workosfera dans ma ville natale Puebla. Les espaces se trouvent à l'intérieur d'un bâtiment ancien rénové qui fonctionne également comme auberge. J'ai eu une expérience très chaleureuse en étant accueillie par les "collègues" dès mon premier jour là-bas. J'ai de l'expérience dans d'autres espaces de coworking mais l'ambiance dans celui-ci est vraiment unique. Je recommande fortement cet lieu à tous ceux qui doivent travailler à distance comme je l'ai fait pendant les vacances de Noël. De grandes initiatives et surtout des gens formidables coexistent ici. Les pros : Connexion Internet la plus rapide et stable, arbres et plantes à l'intérieur, bien situé (à quelques pas du centre-ville) et sécurisé. Inconvénients : Il n'existe qu'à Puebla pour le moment. There has to be a bunch of reasons to go work at a coworking right?. Community? you have it, people at Workósfera are great at welcoming you, they're friendly and professional ; ). Munch on something? Snacks at the kitchen. Coffee, tea with the queen? warm beverages during working hours at the kitchen too. Need to relax? why not a ping pong match! or let's watch a movie at the living room. Fresh air? there are actual trees at the courtyard. 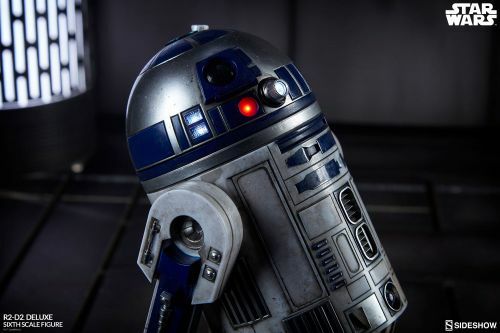 Need to socialize in an awkward, funny way? You have it at the both sexes allowed bathroom. Thinking about maybe starting your own YT channel or recording a podcast, there's a recording studio with green screen. And what about Captain fluffy? bring him along, it's pet friendly!. So all in all, great place to be, work and socialize. 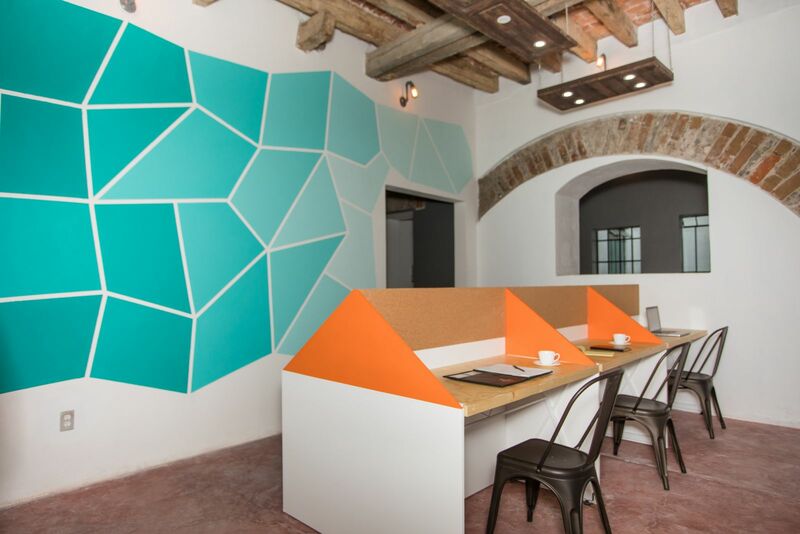 "The best concept of coworking in the State"
Located in the heart of downtown Puebla, in a beautiful colonial building, Workosfera could be described as traditionally modern. The installations are very neat and have everything to work on entrepreneur projects, while being in a relaxed yet sophisticated workplace. It is the place where you can find everything to work on your project being confortable, good coffee shops inside, a great place to work, good connectivity and people that can help your projects grow. The price is very reasonable as well and there is even an hostel inside for accommodation. I strongly recommend Workosfera as aplace to do networking. In general terms workosfera has such an amazing environment. It stimulates good relationships and bussiness opportunities. The staff is kind and has a good taste for attending their costumers. To my taste the only thing missing to have a great service is a stable internet service, it comes and goes as it wishes, and sometimes the timing for uploading and downloading is excesive. However, the rest of the infraestructure and amenities are as good as those coworking places in Europe or the U.S. But being placed in a house considered part of the world cultural heritage is an extra bonus!. 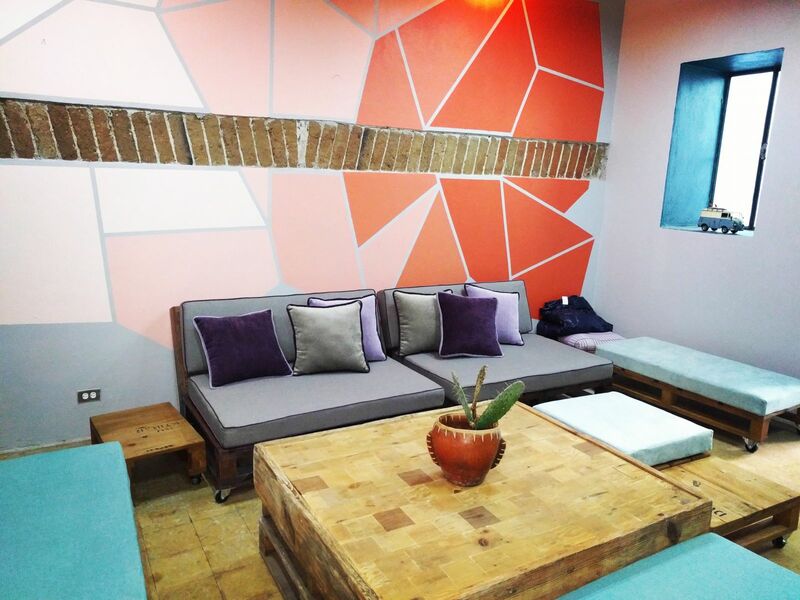 "When in Puebla, work where the locals work ;-)"
"A place that makes the coworking experience in this city really worthwhile! " With the weather in Puebla being so nice you can really enjoy working outside in the shady patio! The house, located in the historic downtown area, is a cool mix of the antique with the modern: good wifi and old walls, you get the point... BUT, the coolest thing here is really the community of local and international entrepreneurs. 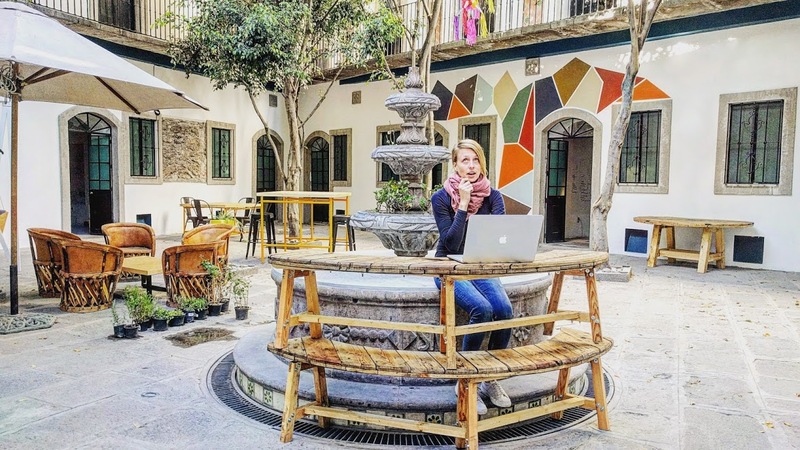 Startups, digital nomads, and freelancers coexist and make this "sphere of work" a unique place that makes you wanna spend a lot of time here! There's always something happening here so just come by and check it out for yourself, any day of the week. "Beautifull place for business and work"
"El mejor coworking del mundo mundial"
Cuanta con una gran ubicación a unas cuantas calles del zócalo de puebla. excelentes instalaciones, para trabajar a cualquier hora (es 24 horas) y encuentras inspiración en cada rincón. 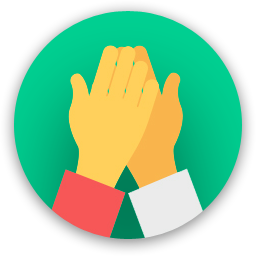 y una gran comunidad, cada uno de de los coworkers hacemos de Workósfera el mejor lugar, por que siempre todos nos ayudamos y hacemos negocios, amistades y crecemos juntos. Y para terminar siempre existen miles de actividades que suceden en Workósfera, eventos, networking, clases de salsa, yoga, peluquería in house y muchas cosas día con día. PD. Tiene una linda mesa de pin pong, en la que podemos echar la reta cuando vengan por aquí. "Excellent option and great connections people"
I have been there many times, and the non-tangible plus that workosfera offers, is the great connections with the best allies that Workosfera has in town. They are very proactive, they have good relationship with the cameras, with the Universities-incubators even with governmet areas related to entrepreneurs. Workosfera has a very creative team offering very frequently interesting events that help entrepreneurs grow and even connect them with investors. I think that they are going on the right direction. I´m sure that they will grow fast. Wifi / facilities etc, everything is perfect! I am looking forward to seeing them soon. Definitivamente el mejor concepto y filosofía para un espacio de trabajo compartido. El mejor ambiente con diferentes tipos de espacios de acuerdo a la necesidad mental de cada persona. Tiene espacios abiertos, cerrados y espacios con privacidad para esos momentos en donde son requeridos. La conectividad a Internet, velocidad y servicios tecnológicos no tienen ningún tipo de saturación y tienen una excelente disponibilidad. Los eventos son muy enriquecedores y con excelente contenido. Las habitaciones del hostal son súper cómodas y ofrecen un ambiente ideal para el descanso. Su céntrica ubicación es ideal para esos pequeños viajes de negocio. En general una gran experiencia. Un lugar increíble, con eventos culturales, eventos de mucho aprendizajes excelentes instalaciones, modernas, pero pintorescas, el lugar es increíble y no hay nada igual, incita a la creatividad, y a la generación de nuevas ideas, la gente que trabaja ahí es muy amable y muy capacitada, se dedican a vincular a personas, apoyarte e impulsarte en tus startups. Es una comunidad increíble donde te sientes en familia, trabajas muy agusto, y le sacas un provecho enorme más allá de las increíbles instalaciones, es un lugar donde haces contactos, creas negocios juntos y expandes tus relaciones estratégicas, definitivamente el Mejor Coworking space en Puebla, Mexico y el Mundo. ¡Me encanta! ¡Ah y la ubicación es espectacular y hermoso en el centro de puebla! 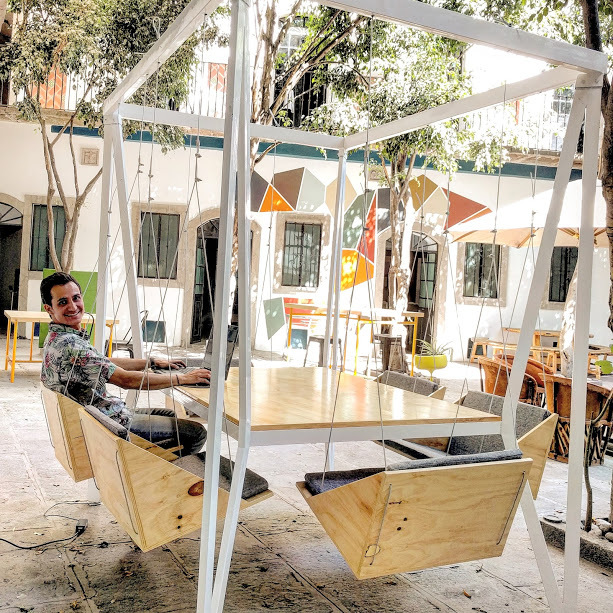 "Best Coworking space in Puebla (by far)"
I want to begin by pointing out that I have no affiliation to Workósfera and that the following lines are just my honest opinion after searching throughout the city of Puebla for a place to develop my personal project. 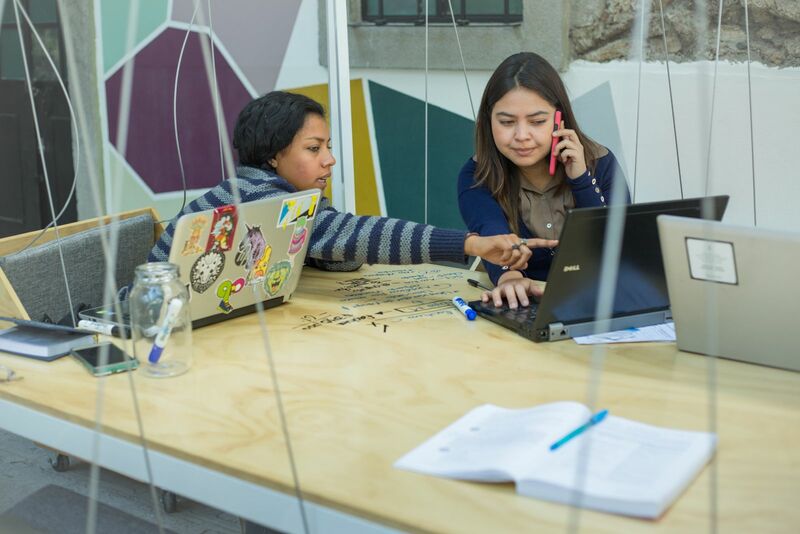 As a Mexican who has spent the last 15 years outside of his country these two months have also been a valuable opportunity to gauge the current state of the startup/coworking community in Puebla. In a nutshell, Workósfera boldly pioneers within a much needed space in México: Collaboration amongst entrepreneurs and innovators. I truly believe that this emerging cultural shift will be at the center of any real change in a country that desperately needs it and has been crippled by short term individualistic pursuits where the mentality has generally been to eat the seed rather than plant a field that will benefit the community. This is what Workósfera excels at: Community. While other “coworking" spaces do a good job at renting semi-posh offices with an usually empty common area, Workósfera fosters collaboration in a space that is both beautiful, functional and unpretentiously well equipped. The building is a true delight for both locals and foreigners. Like many of the buildings in downtown Puebla, it boasts beautiful colonial architecture and it has been smartly conditioned to suit the needs of it’s members. The inner patio is buzzing with people, ideas, and a healthy hustle. It’s this energy that stood out when I first set foot in it. Forums, classes, talks and other activities are constantly being organized in its many meeting rooms and it has become a regular host to the flourishing Meetup community in Puebla. Another great thing is the location. It's nested in what is arguably the most beautiful neighbourhood in Puebla: Downtown. It's particularly good for those with a walk-everywhere mentality. I really enjoy taking the occasional “aimless" stroll while I soak the city, sounds and people. It really helps to clear the mind after a focused session. Workósfera is surrounded by many bars, cafés and restaurants for all budgets. Not to mention the museums, terraces, patios, parks, artsy places, markets and craft shops. All in an incredible mixture of the traditional and the modern. It takes a special kind of team to go against the average mentality and create an ecosystem that innovates and pursues higher values, rather than selling out for a quick buck. 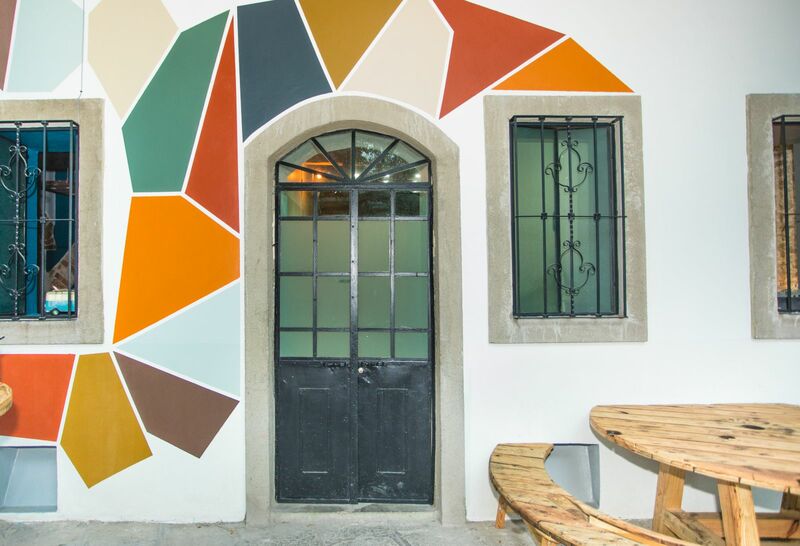 And this is why the guys behind Workósfera are at the helm of the coworking community in a city that is ripe for cultural change. Can’t wait to see what the following years bring. Ils disposent d'un espace sûr pour les vélos si vous arrivez dans l'un d'eux ! A beautiful place to stay while working on great ideas and connecting with other people. it has a couple of good options to eat, plus it is very close to Puebla´s colonial downtown, one of the best in Mexico. many places to visit like museums, roof gardens with beautiful views pointing out to the Cathedral, etc. Prueben el latte con una concha de vainilla. Work on the weekend and discover oddities and antiquities at the stalls one block away in el Callejón de los Sapos Market! 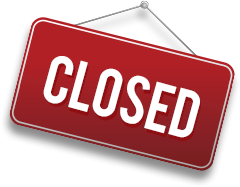 Workósfera will be in touch with you soon to confirm. Workósfera has received your membership enquiry and will be in touch with you soon.